Written by WPA on August 27, 2018 . Posted in Civic, Downtown Norfolk, ERT, Event, Hampton Roads, Norfolk, Wayfinding. Join us on Wednesday, August 29th to hear about the most iconic riverfront trail in the country, Elizabeth River Trail. 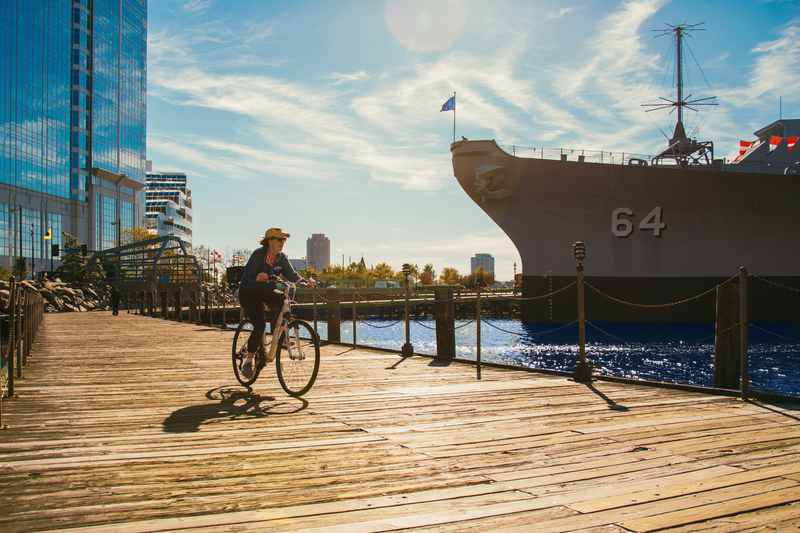 This 10.5 mile trail stretches along Norfolk’s waterfront and includes some of the City’s most beloved treasures, including Waterside Marina, Town Point Park, The Pagoda, and Nauticus. We will meet at the pier BEHIND Nauticus. Attendees will need to walk down the path between Half Moone Center and Nauticus to get to the pier. PACE bikes will be available for those interested in riding the trail at the end of the tour. The PACE bike share app is required for use. If you do not have the app downloaded, please visit the Apple App Store and Google Play. Use promo code SOCIALCNFK for a free credit for first time users. Special Thanks to Work Program Architects for sponsoring this event! Parking is available at three nearby paid parking garages: Town Point Garage, West Plume Garage, or Main Street Garage. 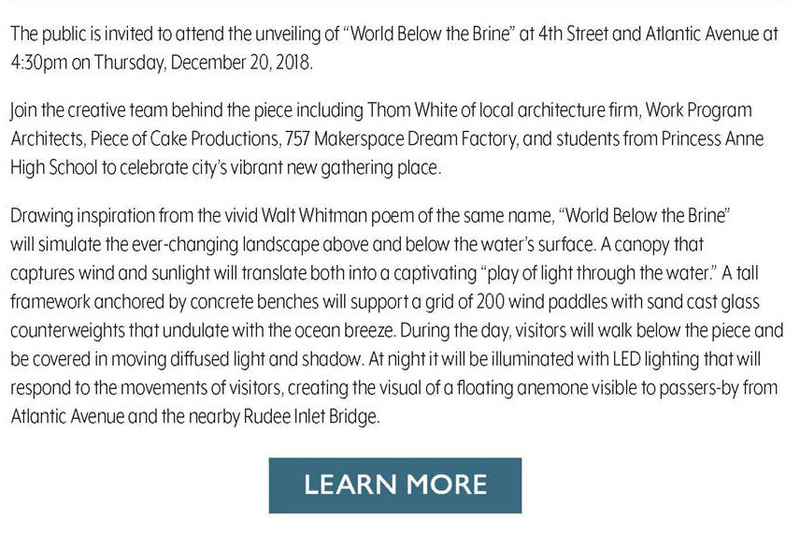 Written by WPA on February 26, 2018 . 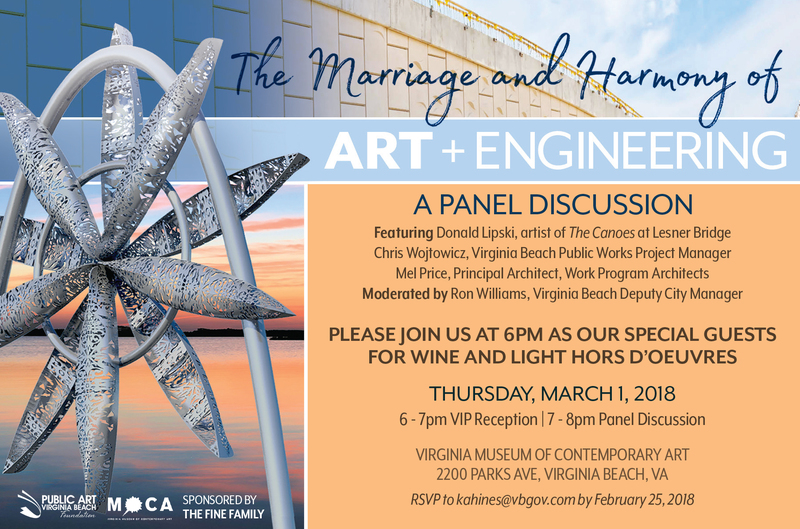 Posted in Blog, Civic, Educational, Event, Hampton Roads, Public Art, Virginia Beach. Written by WPA on November 9, 2017 . Posted in Blog, Civic, NEON, Norfolk, Public Art, Rendering. Paved pathways connecting the surrounding sidewalks and streets to the existing paved concrete pad to remain in place. Landscaping within the areas of soil on site: grass or stable groundcover, trees, and shaping of the land (rain gardens, swales, berms, etc.). Planters: both stationary and mobile. 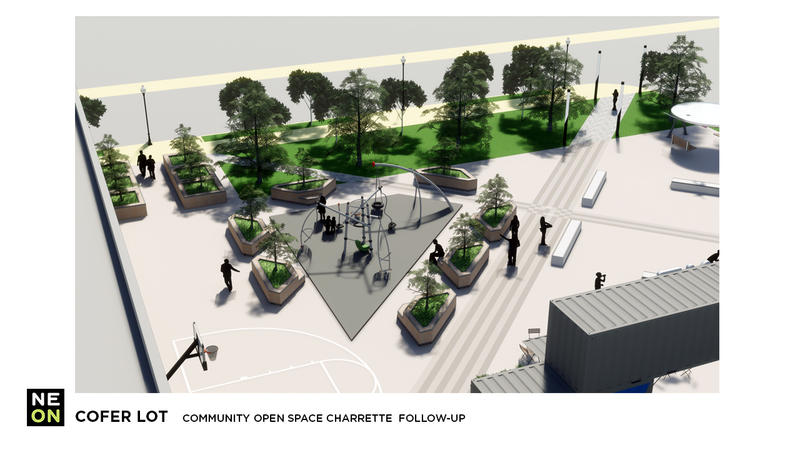 The purpose of these are to extend the greenspace from the south edge deeper onto the site, and to help designate the boundaries of the various activity spaces. Stage Platform: this is shown with multiple tiers, serving multiple uses including: 1) A platform for performances; 2) amphitheater for watching activity within the Park; 3) a resilient element for play/recreation (can handle wear and tear from skateboarding and other high intensity activities). Shade Structure: over the stage platform. This will make the platform usable rain or shine. 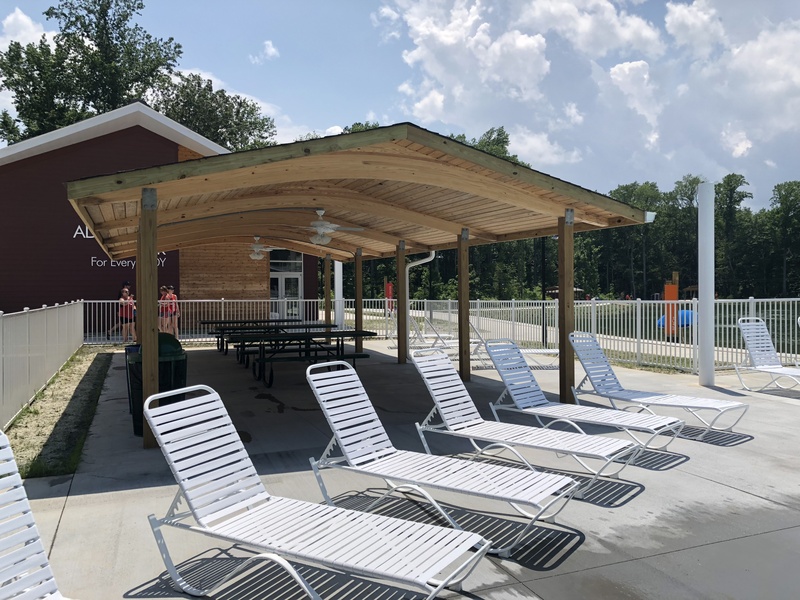 There is a potential for the shade structure to incorporate rigging for lighting, projection screen, speakers, or other performance-related equipment. Shipping Containers: the two 20’ containers currently at the PLOT can be re-used and modified for new purposes (vending, storage, etc.). A new 40’ container can be added to span above the 20’ containers to provide a surface for graphics and to make a shaded space below. The walls of the containers become surfaces for vertical gardens and graphics (like a neon ‘NEON’ sign!). Benches: these would be made of solid concrete with reinforced edges for durability. 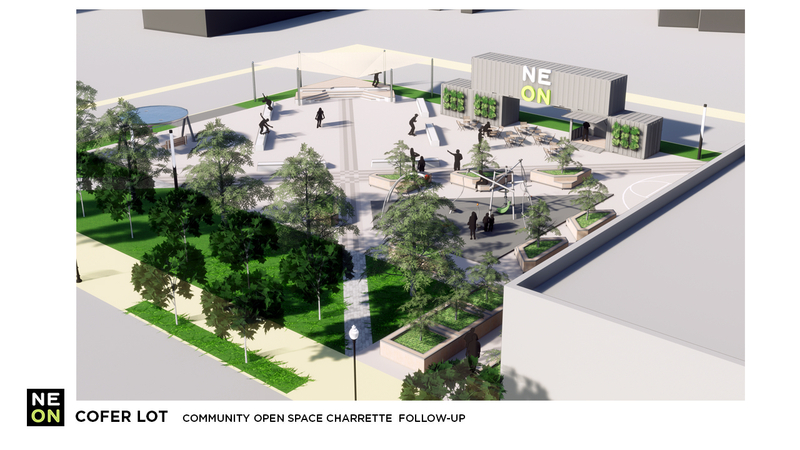 They would accommodate a range of activities including seating, market stalls, and skateboarding. Playground Area: to include play equipment on an appropriate play surface. The play equipment could be in the form of public art, similar to “Upper Blush”, the sculpture by Matthew Geller that was recently installed on site. Basketball Area: a resilient hoop, backboard, and pole, with striping painted on the ground. Depending on the location, a fence element might be necessary to help prevent balls from leaving the site and becoming a hazard. Lighting: the light poles from PLOT I could be re-used and new lighting could be implemented as needed. It will be beneficial to have power at the Stage Platform and also at the Containers. Painting and Scoring: the concrete surface presents a good opportunity painting or scoring to help emphasize the diagonal paths and/or the division of the site into activity areas. The scoring may help with drainage – to provide a path for water to migrate toward the landscaped areas. 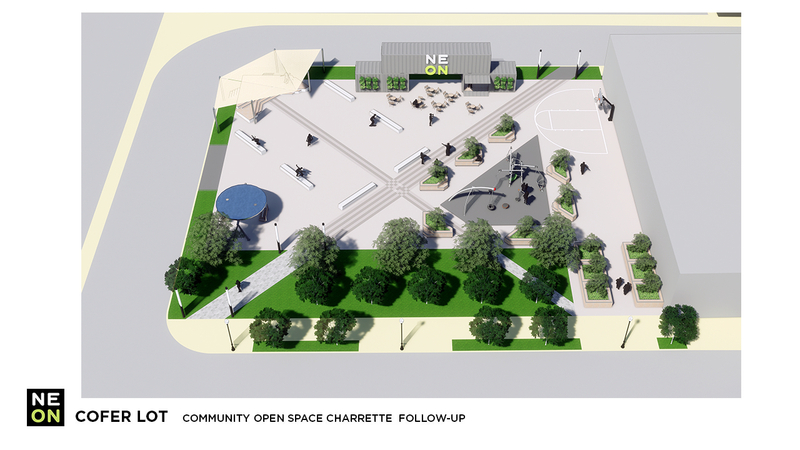 During the charrette it was discussed that some game surfaces would be nice on the paving: chess, hopscotch, bocce, etc. Public Art: the west wall of the adjacent building is a perfect place for a large commissioned mural. Also, places within the park can be dedicated for additional sculptures. Artworks that promote participation, interaction, and play should be favored. 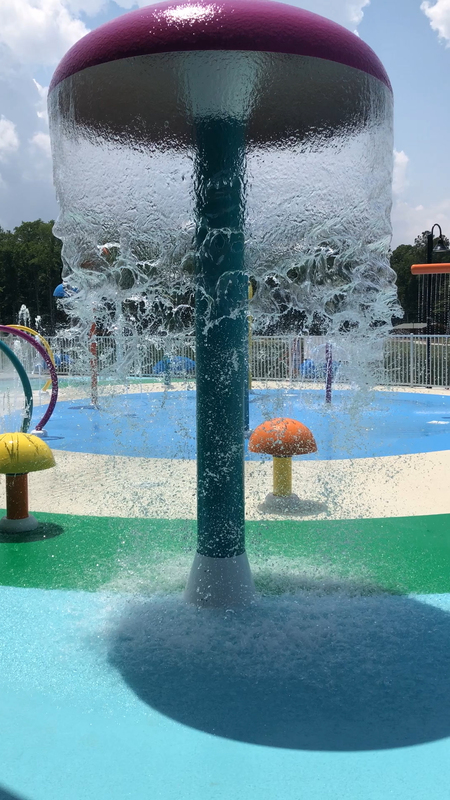 Miscellaneous Park Equipment: Tables and chairs, play equipment, signage, water source for irrigation, etc. 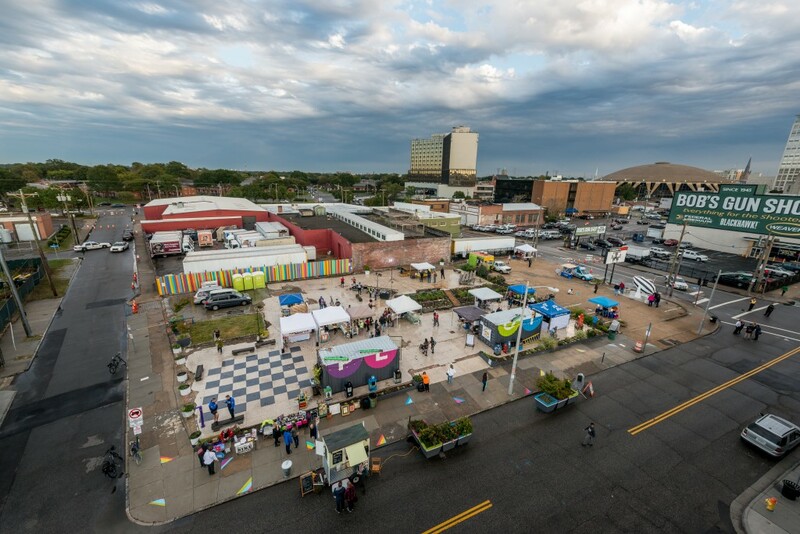 Please stay tuned here and to the Downtown Norfolk Council’s website for news, upcoming milestones, and ways to get involved in the NEON District as it continues to evolve. Written by WPA on November 1, 2017 . 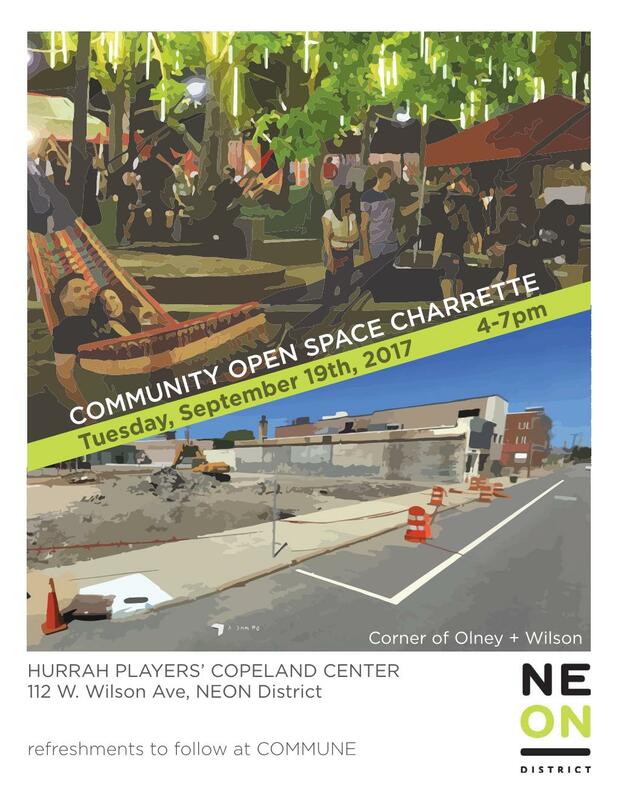 Posted in Charrette, Civic, Downtown Norfolk, Event, NEON, Uncategorized, Wayfinding. 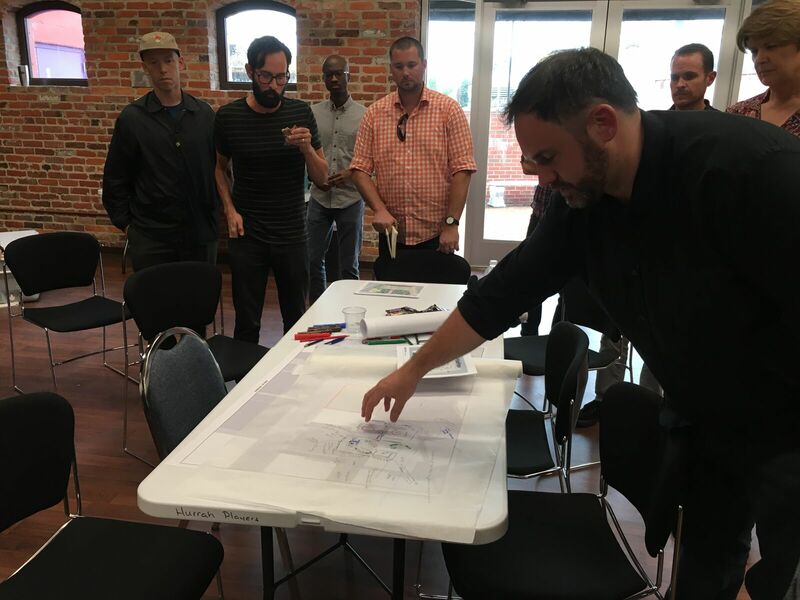 WPA led a well-attended public design charrette to determine the future use of the Cofer Lot in the NEON District at the Hurrah Players’ Copeland Center on September 19th. 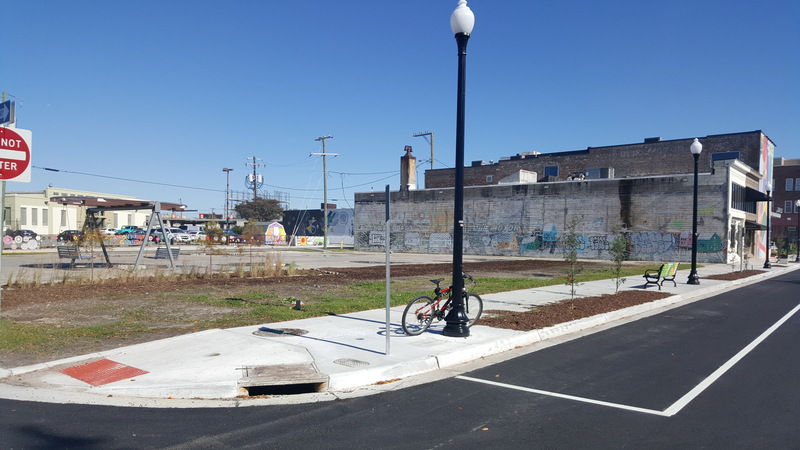 The Cofer Lot, at the location of a demolished former auto dealership, is poised to be designated as much-needed open space in the District positioned in a perfect spot on West Olney Road midway between the offerings on Granby Street and the Chrysler Museum. 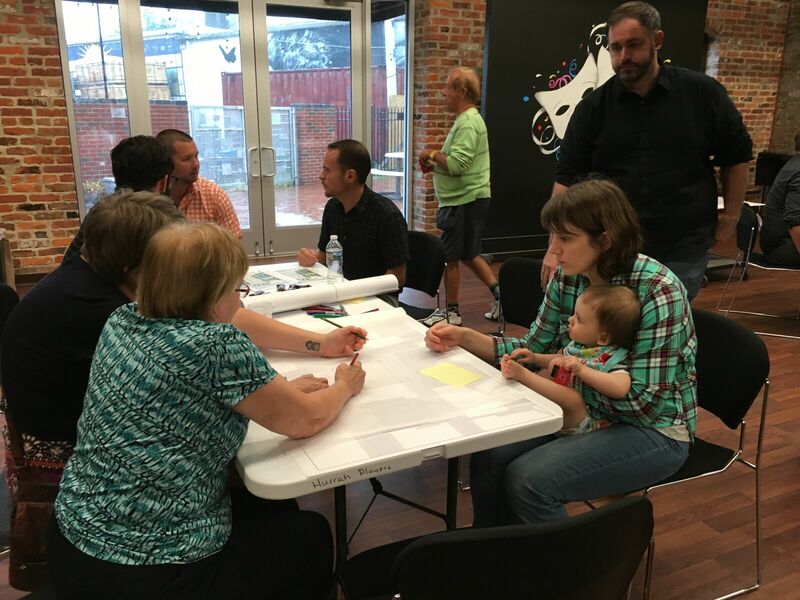 Some charrette participants suggested a public art space with opportunities for sculpture and performance art. Others desired a tranquil green oasis welcome to all, perhaps with a playground for small children. Voices for the skateboarding community advocated for a safe and welcoming place for sport. 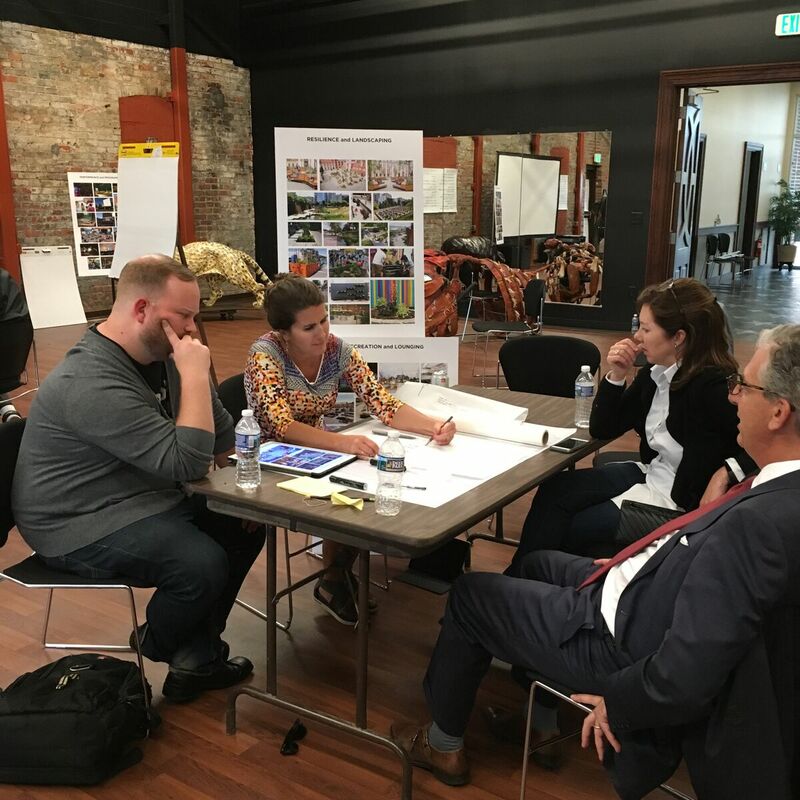 The challenge is to accommodate multiple uses in a small footprint, and participants seemed open to discussion and compromise. 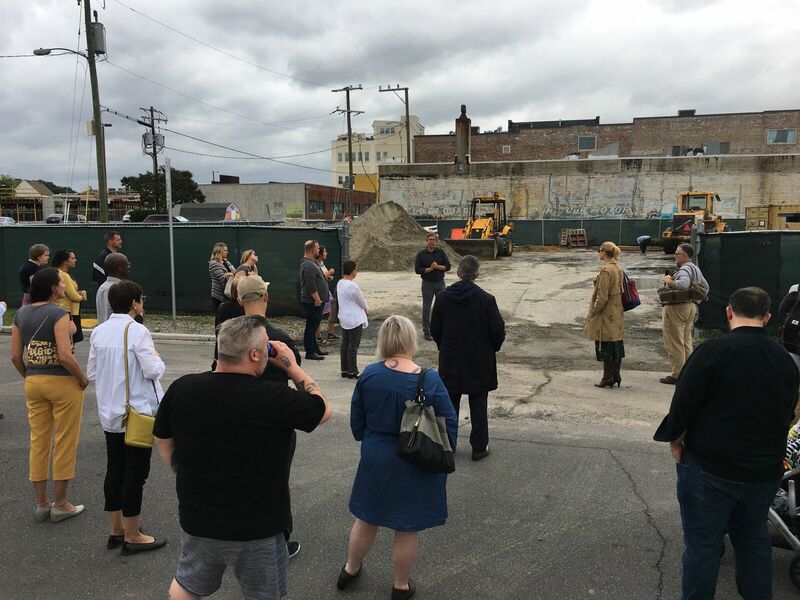 TONIGHT: The results of the Charrette and next steps for the site will be presented at this month’s NEON District Committee Meeting, at the Push Comedy Theater in the NEON at 5:30 pm. 763 Granby Street, Norfolk. Written by WPA on August 31, 2015 . Posted in Camp Grom, Civic, Educational, Event, New Construction, Rendering, Structures, Virginia Beach. 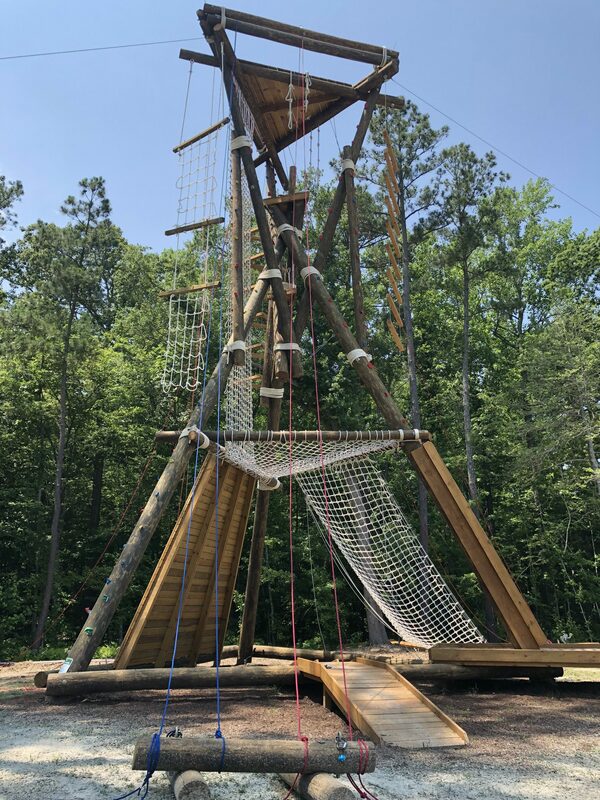 Work Program Architects continues to be proud and honored to be a part of JT’s Camp Grom team helping to bring this camp to life. Last week was the JT Walk & Beach Party kick-off event at the Hilton Virginia Beach Oceanfront. 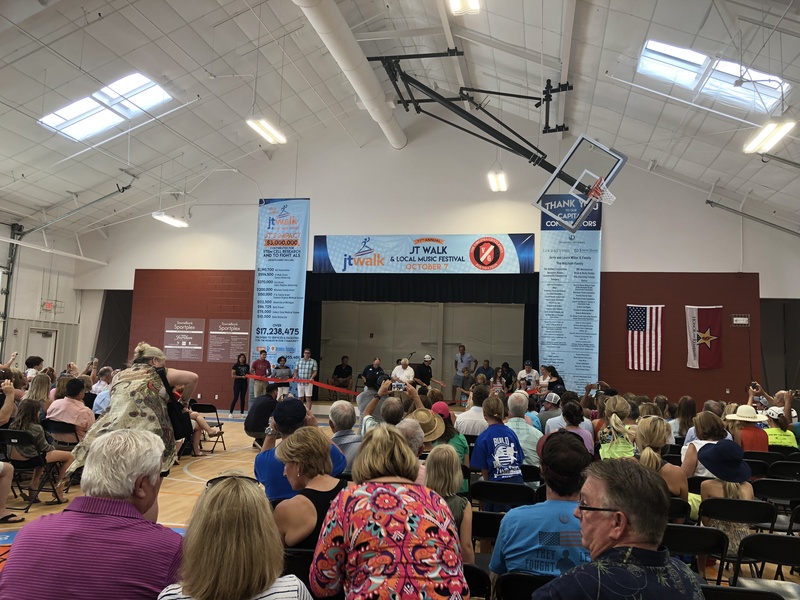 The first renderings of the Welcome Center were presented to an invigorated and excited crowd. Written by WPA on April 16, 2015 . 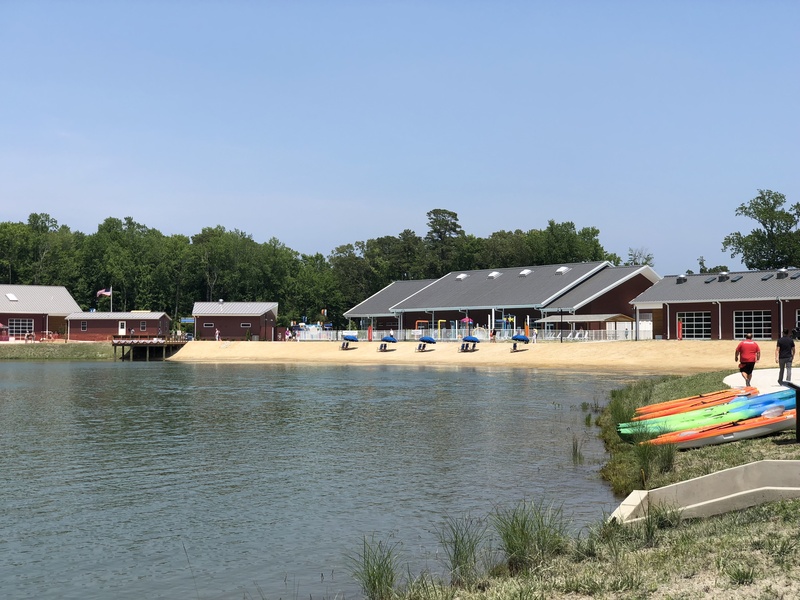 Posted in Camp Grom, Civic, Event, Hampton Roads, New Construction, Uncategorized, Virginia Beach. 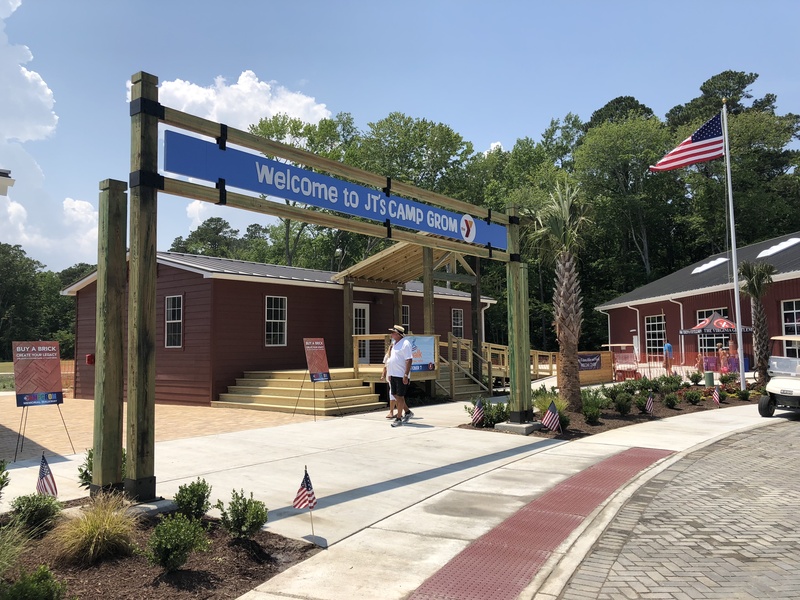 Work Program Architects is proud and honored to be a part of JT’s Camp Grom team helping to bring this camp to life. 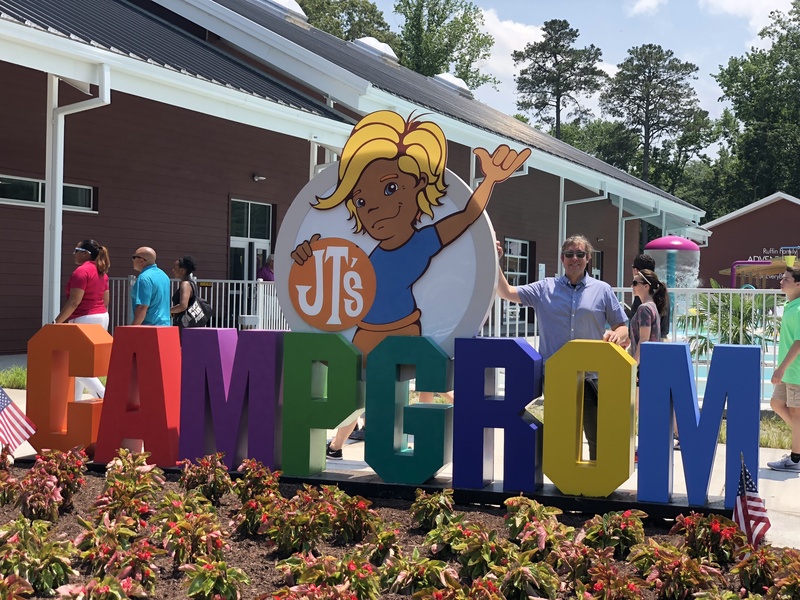 Camp Grom is located in the City of Virginia Beach on a 70-acre parcel of land on Prosperity Road. 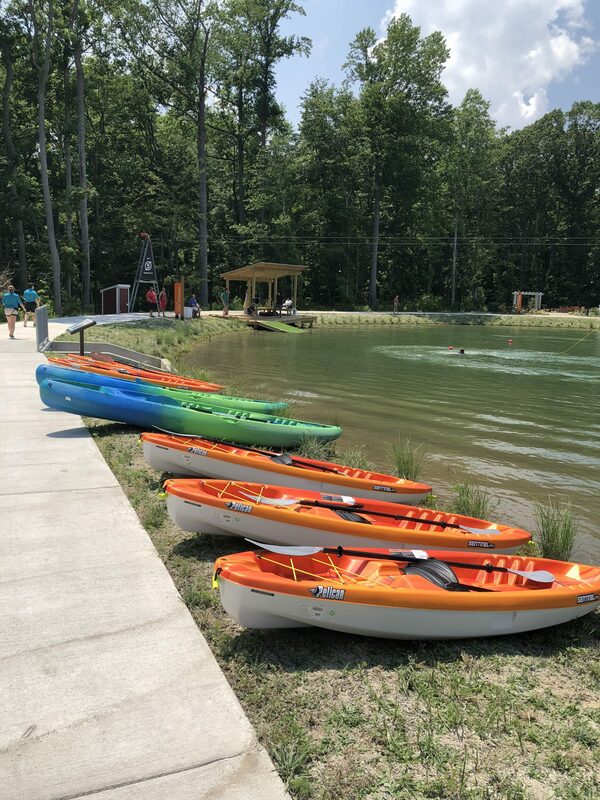 The Virginia Gentlemen Foundation envisioned a place where wounded veterans and their families – and kids with all types of disabilities and their families – could have fun, heal and enjoy outdoor activities: a day camp fully accessible to those in wheelchairs. 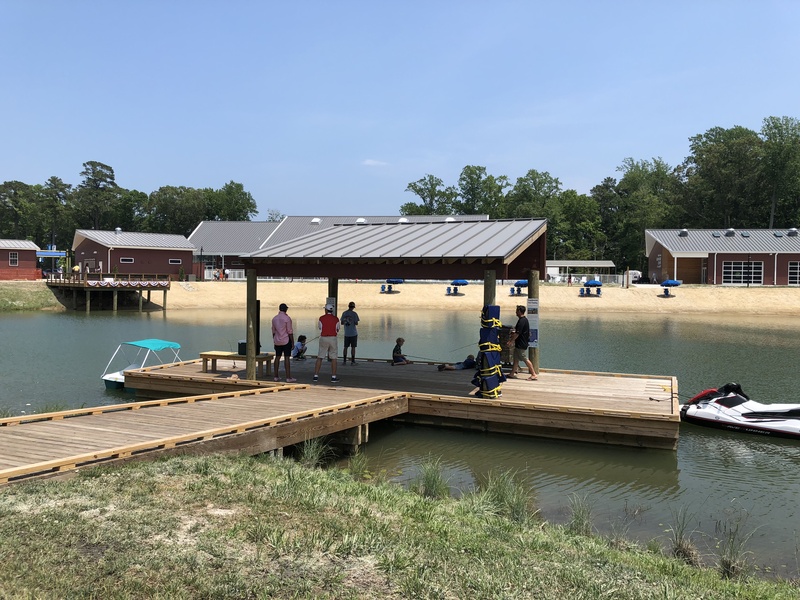 The camp will include a Welcome Center, Wellness Center, Amphitheater, Cafeteria and Tiki Café, Lake with fishing pier, Adventure Ropes Course, Aquatic Center which will include a Splash Park and a Flowrider – surfing/body boarding feature. Clark Nexsen and WPL completed the master-planning and bridging documents. Ross Vierra, of Axis Global Enterprises, will be leading the entire team of architects, engineers, and contractors.